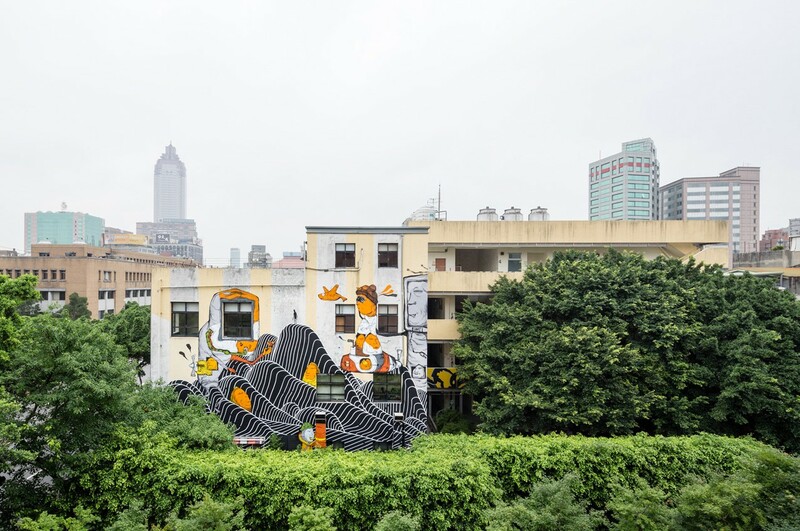 Collaborative mural by Brendan Monroe and Candybird at the Taipei Artist Village for POW! WOW! Taiwan 2014.